Harry Potter fans, this one is for you. Kingston Arts' Shirley Burke Theatre and Parkers Cafe in Parkdale, present a special viewing of Harry Potter and the Philosopher's Stone during the summer school holidays. You've probably seen the first Harry Potter movie more than a handful of times. 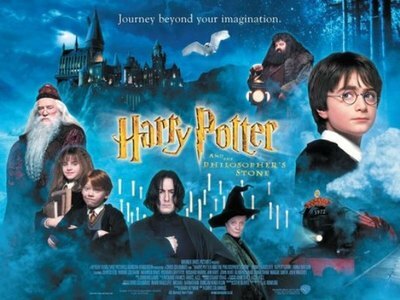 You may have experienced the Philosopher's Stone on the big screen back in 2001. Potter, it seems, is timeless. School kids today are loving the book and movie series just as much as you did some 15 years ago. See the Harry Potter and the Philosopher's Stone on the big screen again, only this time you can relive the magic with your kids, too. The intimate Parkdale theatre has partnered with local cafe Parkers, to present a magical morning tea served during intermission. The movie begins at 10am, but you are encouraged to arrive half-an-hour early to enjoy pre-theatre entertainment, activities and prizes for the best dressed (yes, fancy dress is encouraged). All tickets are $30 per ticket, which includes morning tea. If you book a group of 4 or more, tickets are $20 each.